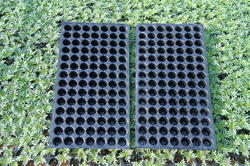 Seedling trays are ideal for the propagation of the small or mid-size plants, such as rosemary, roses, and fruit trees. We are capable to manufacturer up to 98 cavities. 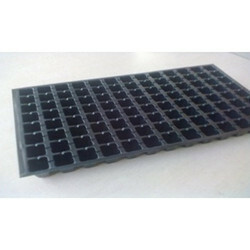 These trays are suitable for various agricultural uses. Small and mid-sized plants like roses, rosemary and other fruit plants can be propagated in these trays. This is used for growing nursery seedling of paddy. We Offer a high range of proseedling trays, which are manufactured non toxic & light weight properties. We offer these proseedling trays in different designs and sizes as per the specifications of the users.